1. The English writings of Rabindranath Tagore, page, 684, volume, 3, Sahitya Academy, Delhi. 10. The English writings of Rabindranath Tagore, page, 240, volume, 4, Sahitya Academy, Delhi. 12. The English writings of Rabindranath Tagore, page, 53, volume, 1, Sahitya Academy, Delhi. It was a pleasant read, though I expected a bit more digging into the subject. Nevertheless, I thank the writer for touching one of the less analyzed and discussed parts of Rabindranath's life and philosophy. 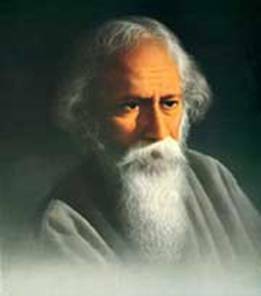 Rabindranath Tagore (RNT) never visited any Muslim home; he never wrote on Muslim icon; though used to shop in a megashop Whiteways and Ludlow's in Muslim area in Calcutta, he never visited any Muslim Institute; he never paid even a single rupee for any Muslim school, in spite of managing a million USD from Iran. No need of elaborating the list. In simple words he was a fundamentalist Hindu writer, an extraordinary genious, of course. He was a great success in spite of many of his failure writing (vide recent observations by Girish Karnad.). Brahmo Samaj was just a drama!